Hi, I'm Leticia, a mom of 5 with a huge passion for flowers and crochet. My love for crochet started at a very young age. Since then, it has never left my heart. 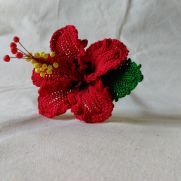 I am the founder and owner of Flawless Crochet Flowers. 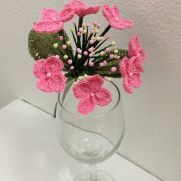 I love making flowers and love to share them too. My journey started with allergies. My love for flowers are huge, but they give me the sniffles all the time. Sometimes I take my risks. For the sake of my health however, I've decided to create my own crochet flower garden.